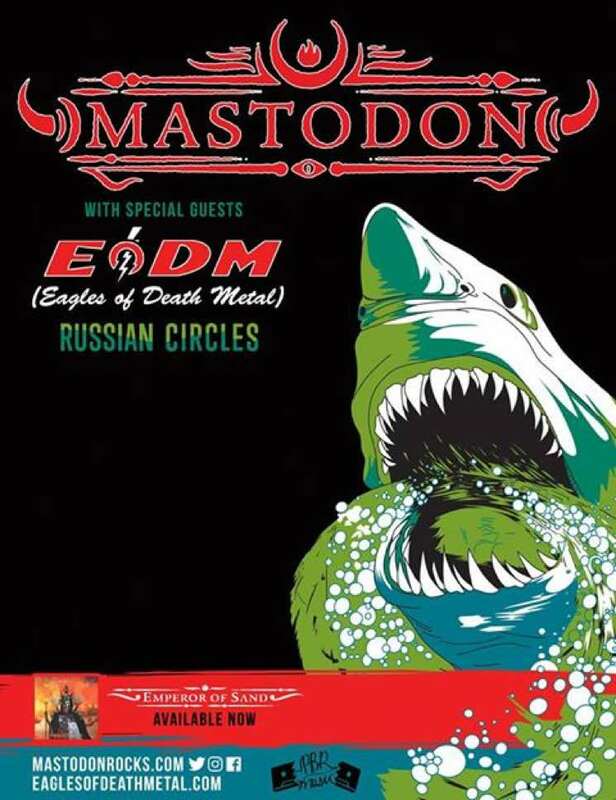 Mastodon, Eagles of Death Metal and Russian Circles are staying teamed up and extending their run of tour dates into the fall. The trio of bands recently wrapped a North American jaunt, and following a string of European dates, they'll be remaining on the road together for additional North American shows, plus an end-of-year UK trek. Canadian fans were treated to a Toronto stop last month, but on the newly announced dates, the bands will be crossing the border again for shows in Montreal on October 9 and Vancouver on October 25. Tickets go on sale this Friday (June 16) at 10 a.m. local time. Check out the full list of upcoming gigs below. Beyond the upcoming itinerary, you can also get a look at Exclaim! TV's new interview with Mastodon's Troy Sanders, filmed during the band's recent stop in Toronto.